Vangsness has been acting on stage since she was very young. She received numerous awards and scholarships in both high school and college for acting, and also attended the prestigious California State Summer School of the Arts. After graduating from Cal State Fullerton, Vangsness began performing in plays and improvisation in Los Angeles. She has been a member of numerous theater companies in Hollywood, and is currently an active member of Theatre of NOTE, where has served as president of the Art Board and also earned the coveted Golden Betty Award. 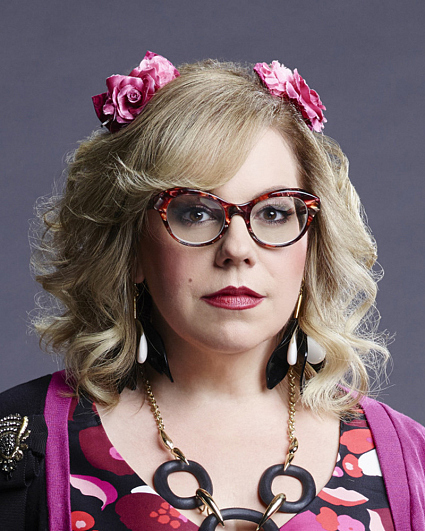 Vangsness' work has garnered her the Los Angeles Drama Critics Circle Natalie Schafer Award for “Best Emerging Comic Actress.” In 2007, she starred in the West Coast premiere of Neil LaBute's "Fat Pig" at the Geffen Playhouse, for which she received a “Best Actress” Garland Award. In addition to acting, Vangsness has written various performance art pieces that have been seen throughout Orange County and Los Angeles. She also has an affinity for making and “re-designing” her own clothes. Vangsness continues to volunteer at elementary schools, where she reads and teaches after-school improvisation and acting classes.